← Vine Stitch 5: What do you want to eat? TW: Sexual assault and violence. 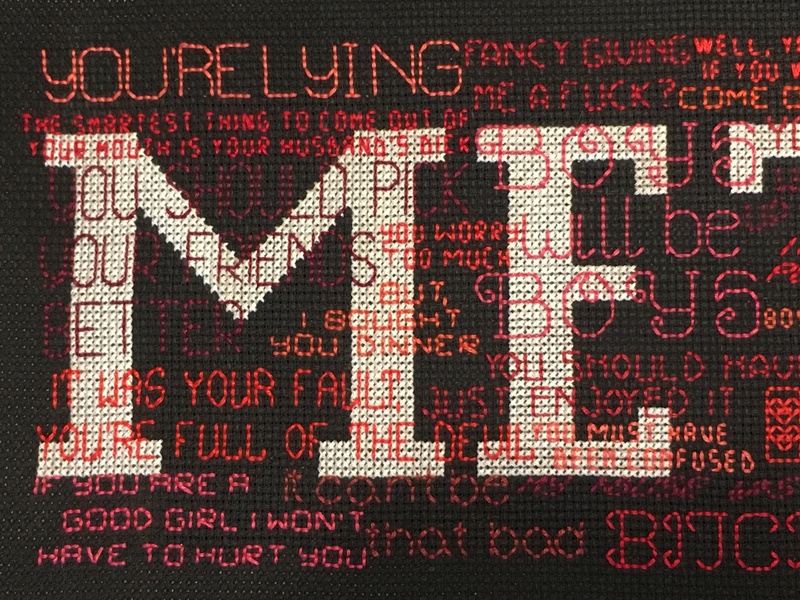 Several months ago, a friend of mine from college put out a call for art reflecting the #metoo movement. I was one person that answered the call. So I put out my own call to real people to give me quotes from their #metoo moments, if they were comfortable sharing it. I was clear about what it would be used for. The most fucked up thing is that I talk about my “moment,” and I say I’m lucky (!) because mine was not physically sexual, only emotional/psychological and one weird minor physical assault. It’s truly not nearly as bad as it could have been, and I would obviously react differently now than I did in school. I designed this piece with all those other women in mind. I can’t say that I loved working on this project; it was heavy. But I am glad that I’ve done it. So I finished it a couple months ago, but was sitting on it so that the unveiling of this piece would be at the performance this was originally for. However, recent events have really brought out some feelings, and I want to share this piece a little early. If you can, take a look at some close ups. This was stitched on 14 count aida with DMC threads. 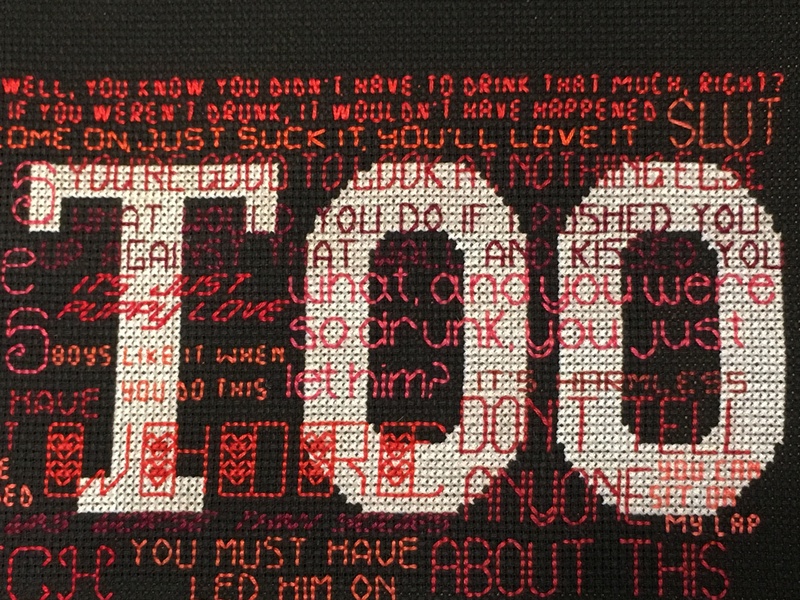 This entry was posted in Cross stitch and tagged #metoo. Bookmark the permalink.